NightLight is a busy place and with new activities and projects launching, we have a lot of updates to share. We hope you will enjoy catching up on the news and will also be aware of how much your prayers and support contribute to all that is happening. We have been hosting medical clinics every couple months out of our outreach center in the red light area. The last few clinics have averaged around 40 women and ladyboys (transgenders) coming in for HIV testing and medical attention. The clinics are a great way to build trust in the neighborhood. On March 24th it rained a lot, but we still were able to receive 15 clients. It was a good opportunity to hear their stories and offer assistance. We are grateful to Dr. Katherine Welch of Relentless and a great team of international volunteers. In February the outreach team made over 724 contacts with women from Thailand, Africa, Central Asia, and South America in the red light area. We gave gifts on both Valentines and International Women’s Day to bless the women and let them know that they are seen and loved. nail salon Three of our Thai women have now joined the outreach team as well. 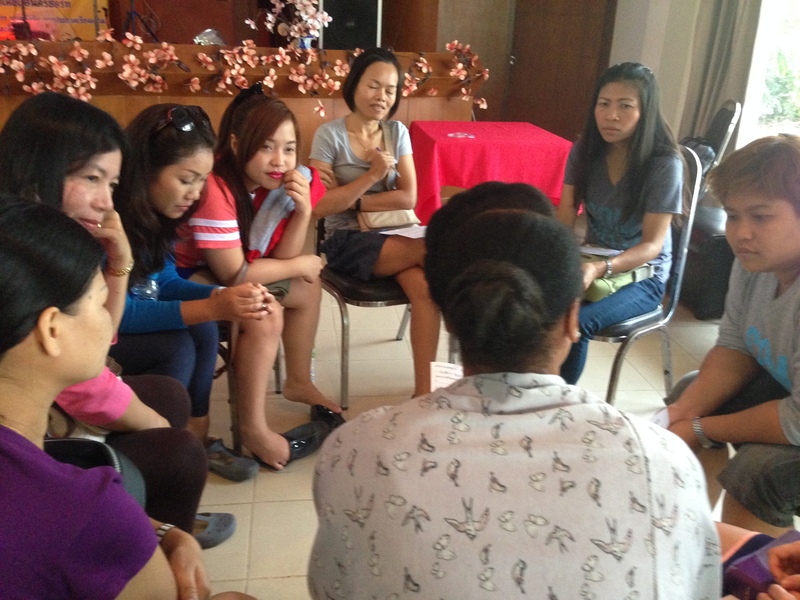 English classes take place every week in the outreach center for women still in prostitution. We also open the center for hairdressing and nails once a week. As a result of these consistent events, the staff is able to build relationships and gain trust among the women in the community. 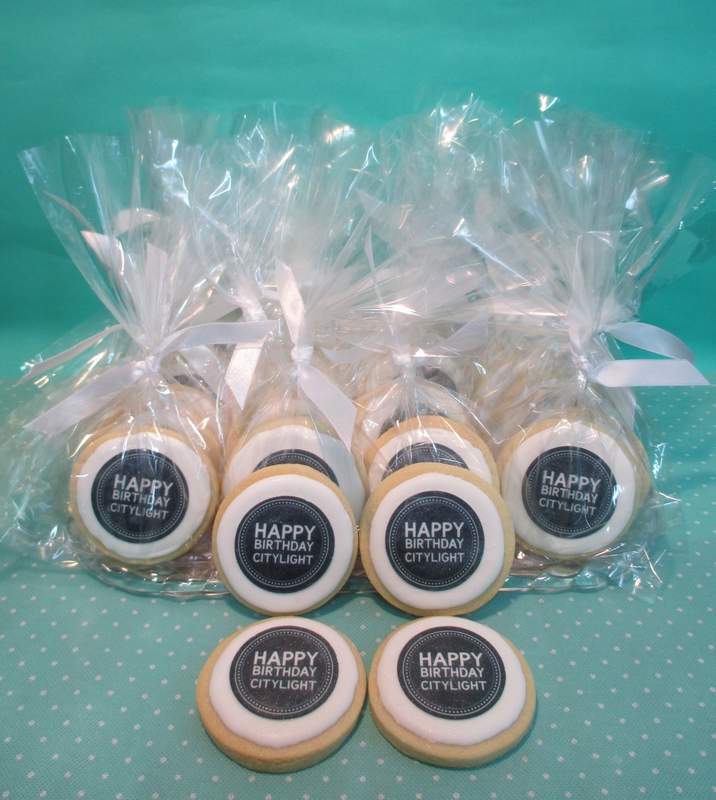 We were excited to celebrate the 1st year anniversary of CityLight Coffee in March. The Baking Project made personalised cookies. The coffee shop is a safe and welcoming space in the red light area. We are exploring ways to increase revenue so it can become profitable as well. If you are in Bangkok, come by for a great cup of coffee or non-coffees drink and a Panini sandwich! Sales were better in February and March, in part due to high number of visitors and teams. Due to the low sales last year and the financial stress we moved many of the women out of the business and into the foundation. We now have 8 employed in NightLight Design Company and 36 employed in NightLight Foundation. We need more sales, jewellery parties, and retail connections to increase revenue and allow us to hire more women. 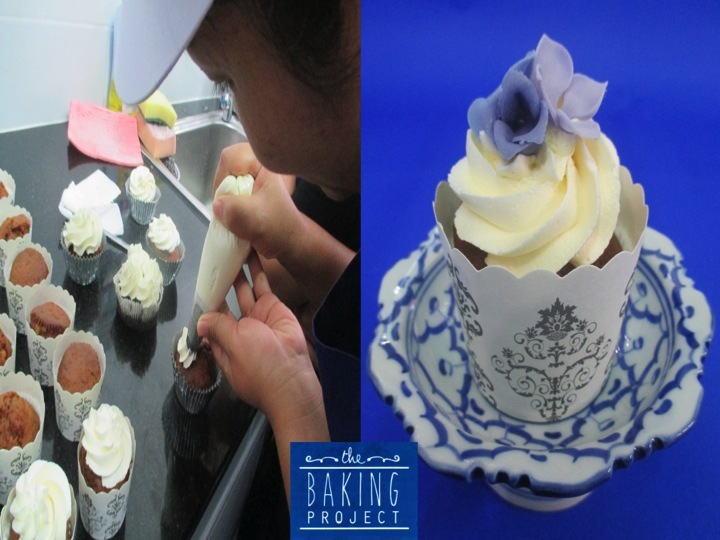 The Baking Project We are excited to have recently been granted additional funding we needed to make this project successful. The women are in the middle of a 12-week training program learning food & hygiene, health & safety, sugar crafting, and baking skills. So far what they are doing is beautiful and excellent in quality. We are averaging 17 children during the school year and closer to 25 during school breaks (happening now, which is their summer holiday’s). This month the children are going on a special outing to the Aquarium with a school group from an international school in Korea. The following week they will have an English camp. This is a really good opportunity for the children who live in the rural areas. School will start up again in May and funding will be need to provide tuition assistance for around 35 children ages 3-19. NightLight closes over Songkran (Thai New Year) so the women can go home to their villages and participate in the family blessings. After a day of blessing gently with water it turns into a 3-day water festival (the worlds largest water fight!). It is a lot of fun, but there are also a lot of accidents. Please pray for the women’s safety and for the time they spend with their families. We have had three women from Uganda enter the Transition House since the New Year. A mother and baby went home in January and a second woman went home in March. The stories are both horrific and amazing and the women continue to impact us as we assist them in transition and repatriation. The process is complicated with a lot of roadblocks and the team needs continuous prayer covering. We are in immediate need of house mothers and volunteers to cover shifts at the house and help. The burden is heavy on the residential staff, which works overtime. Please hold them in prayer for endurance and strength, but also pray for the right people to come forward to help. There are many more women who need assistance, but at the moment our limitation is due to not enough people to help. The anti-trafficking team is visiting several trafficked women in the immigration detention center. We hope to advocate for them and accelerate the process for them to return home. Our Spanish-speaking team member has been working with a woman from Colombia and we hope she will return home next month. A big concern we have, is for a woman from Central Asia who is in a pretty serious medical condition and at high risk of dying here if she doesn’t cooperate with the necessary treatments. Please pray for wisdom and for her to understand the necessity of accepting assistance. NightLight’s Needs NightLight has expanded its work into new areas and we appreciate so much your prayers, supports, donations and pledges, which makes it possible. In celebrating Easter Sunday, we also celebrate the new life we see in the women and children and the hope they have for their future. Thank you for being part of this transformation!